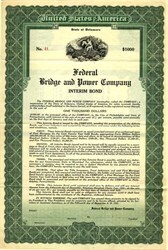 Beautiful certificate from the Federal Bridge and Power Company dated no later than 1933. 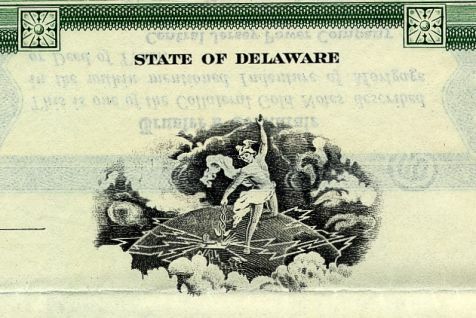 This historic document was printed by W. Mann Banknote Company and has an ornate border around it with a vignette of an the Greek God, Mercury, standing on top of the world holding a lightning bolt. This item has the signatures of the Company's President and Secretary and is over 75 years old.